We have been teaching the PRMI Dunamis material since our first trip over 10 years ago. 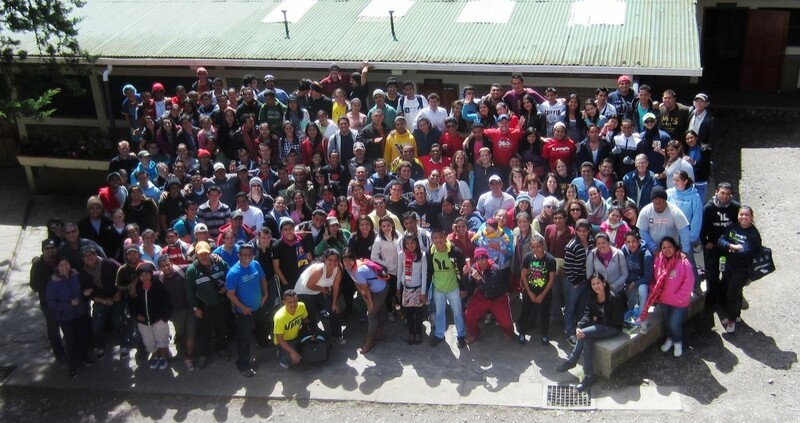 Our team will be bringing a Dunamis presence to the Area Directors school for YoungLife Latin America. This is a great honor and privilege for us to once again be invited into the lives of these top leaders who are advancing God’s kingdom in seven countries. This is a small camp with leaders who are in charge of the ministry for their country, city or barrio (large neighborhood). They are young adults with lots of responsibility — spiritual, pastoral and financial/administrative. For example, the Honduran and Salvadoran staff are on the front lines with gang issues; the Guatemalan staff disciple leaders who minister with teen moms in garbage-dump type conditions, just to give you a sense of some of their contexts. Safe uneventful travel for our team on Aug 30, 31 and return Sept 6. Outpouring of the Spirit and clear direction for the closing service (Friday Aug 29) which our team has been asked to plan/lead. The person who asked requested a time of prayer for ministry and family for the leaders and “of course leave room for Holy Spirit”. Pray that the Spirit comes and we know what to do/how to cooperate as well as for time to debrief. We have begun to settle into our new location in Florida. We have seen God’s provision for our move – We continue to pray in the remaining $3,000 to finish that goal before 15 September. The family is beginning to adjust to the local culture, our kids are enrolled and school, and our family is on the quest to find a local church home. Continue to pray for us as we adjust. We’d love to hear from you. Feel free to reply with how we can pray for you. I’ll keep you guys in prayer.